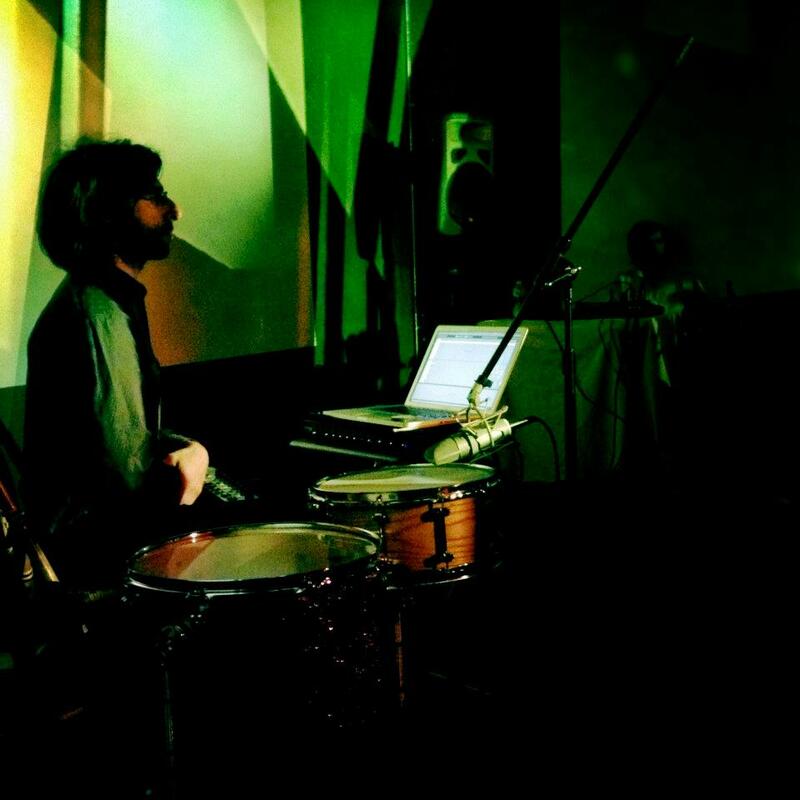 Drums and Drones is the solo project of Brian Chase (Yeah Yeah Yeahs / John Zorn) and is performed in conjunction with the stunning visuals of video artist Ursula Scherrer. The project uses drums and percussion as a medium for ‘going inside the sound:’ that of constructing expansive soundscapes, like aural snapshots of tone, to uncover the richness of sonic depth hidden within the resonance of these instruments. Similarly, the visual component investigates and reconstructs elements of found forms, whether in filmed objects or simply light itself. In the live video projections, an architectural abstraction continues to emerge and re-evolve, and layers stack to reveal shifting fields of depth and perception. Drums and Drones credits initial inspiration to La Monte Young and Marian Zazeela’s legendary Dream House installation in TriBeCa, NYC. Evan Miller is a percussionist and improviser based in Dayton, OH. He works with percussion, found objects, cassette tapes, and field recordings to create music drawing equally from drone and free improvisation. Evan is also a member of Neutrals, an experimental percussion duo, with Andrew Seivert. Sarah Hughes is an alto saxophonist, composer, and music educator from Pasadena, Maryland. She is a free improviser who enjoys creating within and on top of many genre frameworks including jazz, swing, blues, folk pop, and rock. Sarah has toured Sweden as part of their first annual Women in Jazz Festival, and has shared the bill, opening for great free improvisers such as Joe Morris, Nicole Mitchell, Fay Victor, William Parker, Hamid Drake, and Ken Vandermark. She also serves as adjunct faculty at Towson University and McDaniel College.